The dairy farmer owners of AMPI rise early and work late to ensure their herds consistently produce a steady supply of quality milk, the key ingredient that goes into AMPI's quality cheeses. We love cheese on top of burgers and tacos at lunch, and of course as an essential ingredient in that dinnertime comfort food, mac and cheese. Have you ever wondered where great tasting cheese comes from? About 10% of the American-style cheeses are made by the cheesemakers of AMPI, Associated Milk Producers Incorporated. These craftsmen practice their skills in dairy plants throughout the Midwest that are owned by the farmers that supply the milk. Most of the milk produced on AMPI member farms is made into cheese. 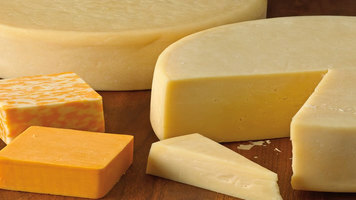 At AMPI, we make American-style cheeses such as cheddar, colby, and pepperjack. 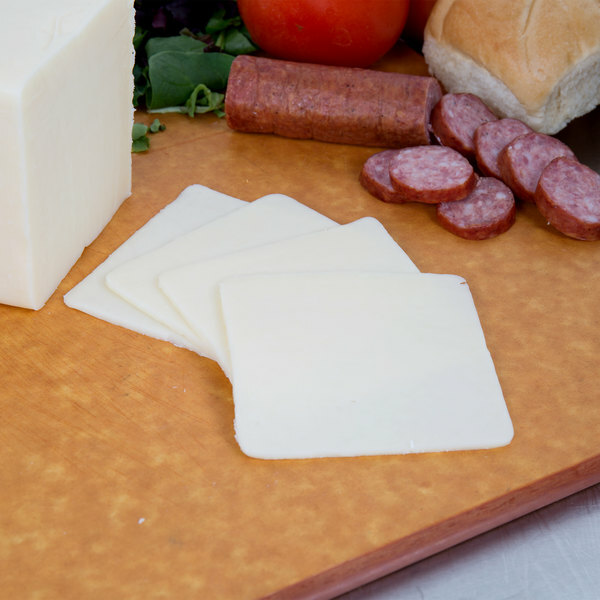 We also manufacturer hard Italian cheeses such as parmesan, asiago, and romano. AMPI cheese gets its start on more than 2000 Midwest dairy farms. On our family farms, dairy is more than a livelihood. AMPI's dairy farm owners are devoted to caring for our cows and our land. We're committed to excellence because we understand the best cheese comes from the best milk. The journey begins when a certified hauler picks up milk from AMPI member farms in 6 upper Midwest states. The milk is delivered to one of our AMPI dairy farmer-owned plants located in Minnesota, Wisconsin, Iowa, and South Dakota. AMPI's skilled employees also make butter and powdered dairy products in our network of manufacturing facilities. Before the cheese making process begins, milk undergoes stringent testing for freshness, purity, and great taste. Then, the milk is weighed and pasteurized to ensure product safety. AMPI cheese makers then mix art and science in a pursuit of the perfect chunk, curd, shred, and slice. Our team includes Wisconsin's master cheesemakers, the highest distinction given in the business. The cheesemakers begin by adding starter cultures, or good bacteria, to the milk. This determines the flavor and texture of the cheese. Next, a milk coagulant is added to solidify the milk into curd. The curd is heated and stirred to separate the whey or remaining liquid. Once the curd formation is complete, it's pumped from a vat to equipment that will separate the whey from the curds. Mechanical forks continually stir the curds. Different handling techniques and salting effect how the curd is transformed into the many cheese varieties made by AMPI. The liquid whey is dried into powder for use in products like snack bars, sport drinks, and nutrition supplements. The cheese is next pressed into large blocks, barrels, or round forms called wheels. Making cheese from milk takes about 6 hours. It takes about 10 lb. of milk to make about 1 lb. of cheese. The cheese is stored under refrigeration to cool and then age. The longer cheese ages naturally, the more pronounced the flavor becomes. Some of our AMPI-made cheeses age for nearly a year to achieve the desired flavor and texture. Our cheesemakers take periodic cheese samples from blocks or wheels to determine when the cheese is ready. Once it reaches the desired age, the cheese is cut into slices, shreds, and chunks to prepare it for AMPI's foodservice and retail customers. Much of the cheese AMPI makes is destined for U.S. restaurants. It's used in foods ranging from the all-American cheeseburger to signature dishes created by renown chefs. AMPI cheese is also found at deli counters, and is packaged under a variety of brand names and sold in grocery stores. Our unwavering dedication to quality from the farm to the consumer has made AMPI a global leader in cheese making. In fact, our cheeses have repeatedly been judged as the world's best. Whether it comes from the dairy case or your favorite restaurant, you can be assured that AMPI cheese is always genuine by nature. Our everyday commitment to quality from our farms to you ensures our cheese is fresh, pure, and delicious every bite, every time. 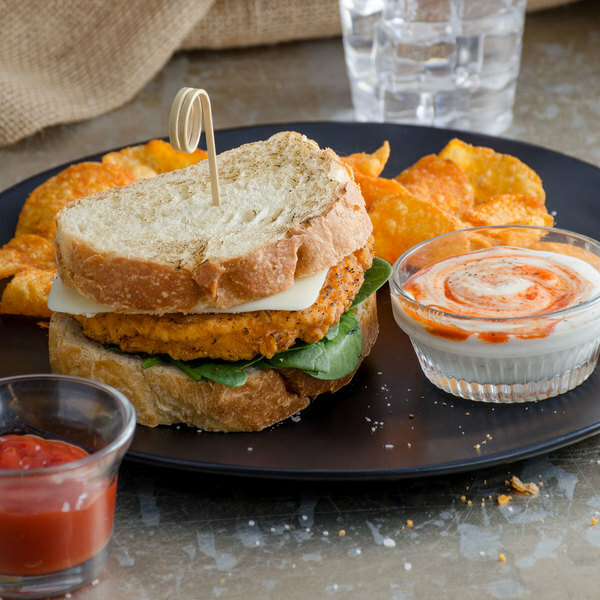 This AMPI monterey jack cheese is perfect for sandwiches, specialty pizzas, or garnishing soups. Aged for a short period, this cheese is mild, creamy, and has a buttery taste. Plus, it melts well and can add a delicious creamy taste to dishes without adding a strong overwhelming flavor. For example, this cheese works great on foods like enchiladas, as you can pour in fresh salsa, fill tortillas with savory seasoned chicken and beans, and then add fine cut slices of monterey jack to melt over the top. The subtle and mild flavor with a slight tang makes this monterey jack cheese a nice alternative to cheddar. 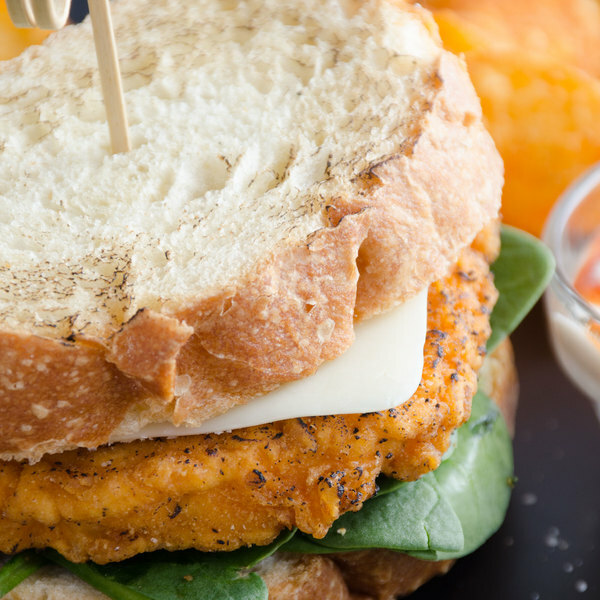 Its semi-soft consistency can be cut into cubes, chunks, or sliced thin for sandwiches too. 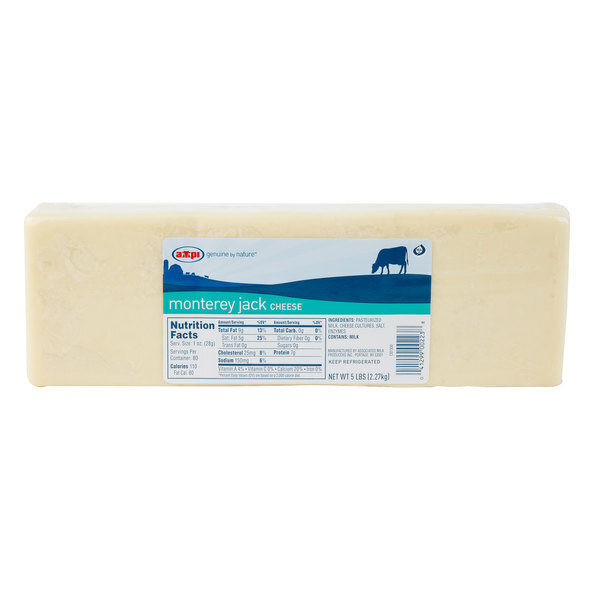 This monetary jack cheese comes in a long block to make sure that you never run low on this popular cheese. Additionally, it's sealed in durable plastic wrap to keep it fresh and protected during shipment. Regardless of whether you're filling out a charcuterie board or topping an award winning sandwich, this cheese is sure to be a crowd pleaser. Based in the heart of cheese country, in Wisconsin, Minnesota, and Iowa, AMPI is dedicated to producing quality cheeses for foodservice and retail customers. AMPI is owned and operated by dairy farmers and milk is produced on family-run farms. The result is an outstanding commitment to providing quality care in their animals to ensure the use of only the highest-quality milk in the production of their cheeses. With a variety of award-winning flavors that are internationally recognized, AMPI is a name you can trust for outstanding cheeses.